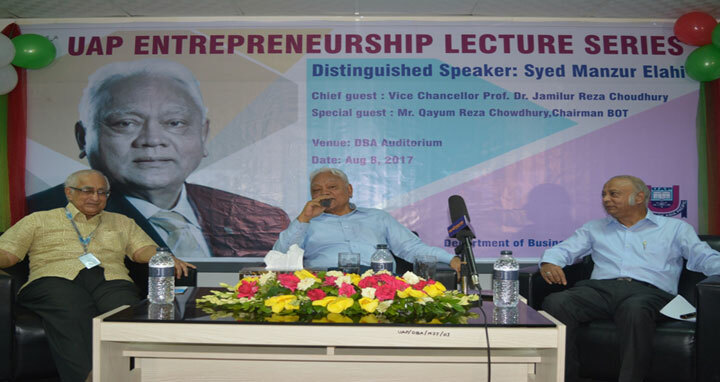 Dhaka, 9 August, Abnews: Department of Business Administration (DBA), University of Asia Pacific (UAP) on Tuesday (August 8) hosted the first session of ‘Entrepreneurship Lecture Series’. Guest speaker Sayed Manzur Elahi, Chairman of Syed Manzur Elahi Enterprise, Chairman of Apex Group conducted an insightful session on his journey to becoming one of the most leading entrepreneurs of Bangladesh. The distinguished speaker of the session disclosed how he took the initiative of leaving a lucrative job to start up a tannery business, the struggles he faced and how he made a name for himself in the business world. Later, a question answer session was held after which many of the students were greatly motivated to pursue their own business. 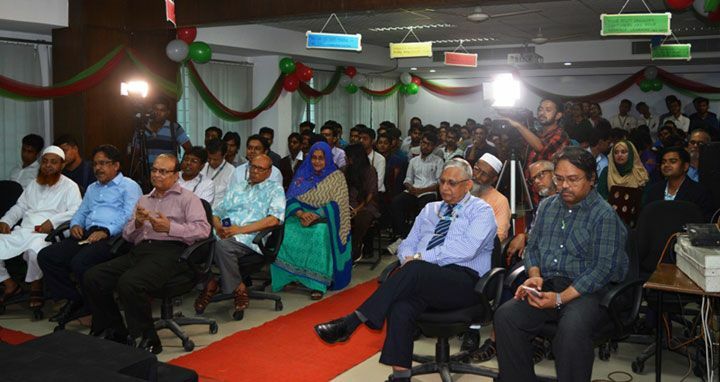 Dr. Jamilur Reza Choudhury, Vice Chancellor, UAP was present as Chief Guest; Honorable Chairman, Board of Trustees, Qayum Reza Chowdhury; Head of Department of Business Administration Mr. Shamsad Ahmed among others were present during the lecture. Faculties and students attended the session that concluded with vote of thanks by Ms. Sadia Tangem, convener of the series, Ms. Sisili Rahman, Ms. Samira Sahel, Ms. Barnali Nandi and Ms. Tahmeem Siddiqi. It may be mentioned here that this lecture was one of the many which will be orchestrated under ‘Entrepreneurship Lecture Series’ in the days to come.